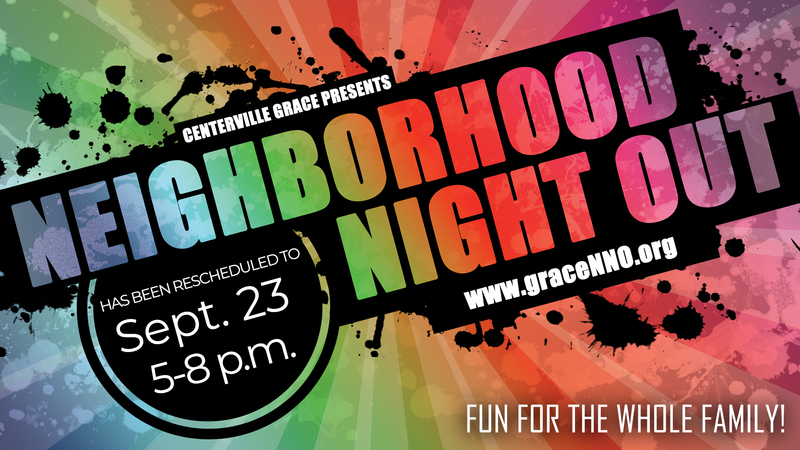 Due to rain, Neighborhood Night Out has been rescheduled for Sunday Sept. 23rd. Neighborhood Night Out is a great way for you to connect with your neighbors. God has blessed Centerville Grace with a campus of 17 acres including a pond. And we want to make that space available for our community. So twice a year we hold this fantastic event where hundreds of people from the church and around the neighbor come out to have fun. We’ll have food, live music, bounce houses, inflatables, kayaks on the pond and more. The best part is it’s all FREE. So if you’re looking for something fun to do with the family, consider stopping by. When: Rescheduled to September 23rd, 5-8 p.m.
Why: Because our church loves to have fun!